Pick up a nightstand that combines fashion and function like never before with the Hudson 2-Drawer Nightstand. This nightstand consists of solid acacia wood with beautiful grain variations that give the piece a distinct look and feel. 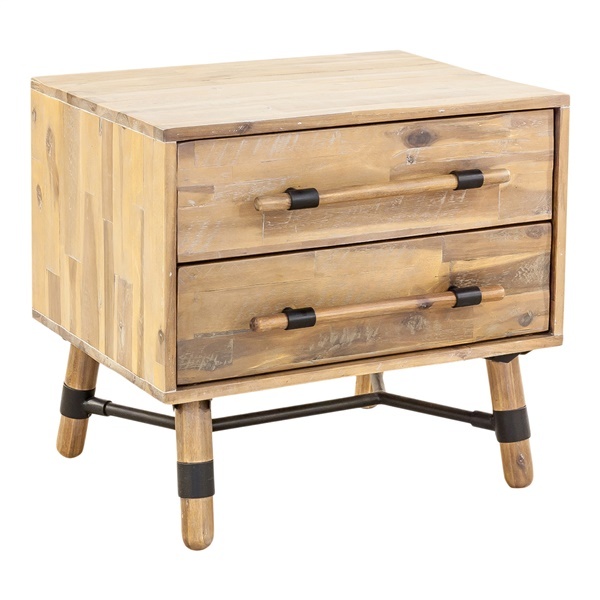 In addition, the nightstand offers two spacious drawers and metal accents that are sure to impress. Enjoy a top-notch nightstand that will look great in a modern or retro bedroom thanks to the Hudson 2-Drawer Nightstand.